The purpose of the Shine Literacy Sounds Like Fun Project is to accelerate the literacy progress of all New Entrant/Year 1 children, in particular those who start school with less knowledge of early literacy skills. At the very least, we want to prevent the increasing achievement gap that is often seen in the first year at school. Children with more literacy-related knowledge at school entry (typically children from higher decile schools) often show an increased rate of achievement when compared with children who have less literacy-related knowledge at school entry (typically children from lower decile schools).The achievement gap gets wider in the first year at school, and for many children continues throughout schooling. This project began in May 2014 with 259 children from 32 schools taking part. Seventeen schools were trialling the Sounds Like Fun method of instruction and fifteen schools continued with their usual instruction - they are the comparison schools. Our first goal was to prevent the increasing achievement gap from occurring. Children were assessed at school entry (Time 1) and again after 16-17 weeks at school (Time 2). For many of the skills we assessed at Time 2, the rate of progress was the same for children in the Trial schools, whether they were in a high or low decile school. The gap that existed when they started school did not increase, and in a number of cases children from the Trial low decile schools showed considerable acceleration in the development of skills, compared with children in the Comparison low decile schools. In the Comparison schools, children in the high decile schools made more progress than those in the low decile schools.This finding is evidence of the increasing achievement gap, often related to the decile ranking of schools. 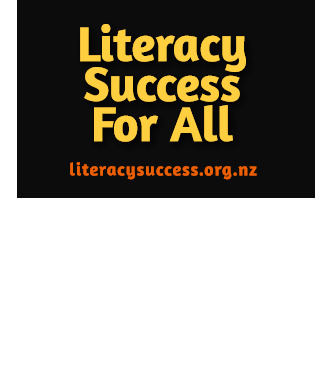 Our next goal was to close the achievement gap between children in the high decile and low decile schools using the Sounds Like Fun approach, which explicitly teaches all the skills and items of knowledge that research says are essential for successful literacy learning. Results comparing children’s progress after one year at school (Time 3) show that this has happened in many key areas of literacy knowledge. The children in the low decile Trial schools out-performed the children in the low decile Comparison schools, and in several cases achieved results that were the same as, or close to, results of children in the high decile schools. This suggests that this approach to teaching early literacy skills is contributing to a closing of the achievement gap that is often shown between low decile and high decile schools. We also want to know how this approach affects the achievement of English language learners. Approximately 25% of the children in the sample were identified as English language learners (57 children). This is only a small group for research purposes which means it is difficult to provide statistically reliable results. However, the mean scores for the Trial and Comparison groups show the Trial group achieving higher results on almost every measure, which suggests that the Sounds Like Fun approach could also be beneficial for English language learners. Our goals now are to find out which early literacy skills and items of literacy-related knowledge have the greatest influence on the acquisition of reading and writing skills, whether we can accelerate the acquisition of these early literacy skills in the first year at school, and whether earlier acquisition of these skills impacts positively on future reading and writing success. To this end we will be tracking the literacy progress of this group of children for one more year and we hope to also assess their progress at the end of Year 4. Original generation time 1.6650 seconds. Cache Loaded in: 0.0162 seconds.